The standard calls for a dark red plumage with white in the flight and tail feathers. The main tail feathers are crossed by a soft red bar near the end. 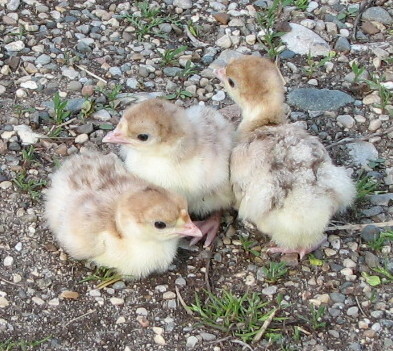 Body feathers on the toms may be edged in black.The neck and breast feathers are mahogany, with a narrow edging of white present on the breast feathers of the females. Mature weights: 33 pounds for toms and 18 lbs. for hens.